This year, the extracurriculars at Benet have risen to a new height with the formation of the Aviation Club. The Aviation Club was established by sophomore Tim Pipal and meets almost every Thursday. The club provides its members with a place to build and fly different types of model aircrafts. 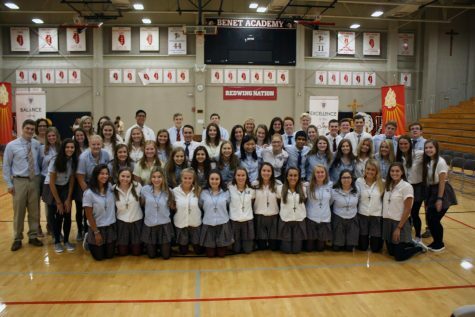 It also hopes to get more Benet students interested in pursuing as career in the aviation industry and plans to have various guests speak to Benet students about what this career could look like for them. Some of these guest speakers may include aviation specialists such as Boeing engineers and pilots. Since the club is still in its beginning stages, activities can to be planned around the interests of its new members.